One of the most well-known rifle cartridges around the world, the 7.62x39 is an intermediate rifle cartridge that was developed by the Soviets during World War II. The 7.62x39 cartridge is synonymous with the AK-47, SKS rifles and the RPD and RPK light machine guns. 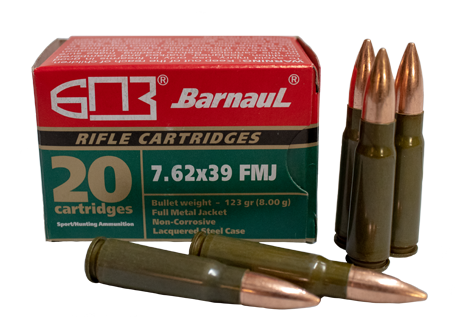 7.62x39 is a .30 caliber cartridge that provides good range performance along with solid terminal ballistics.